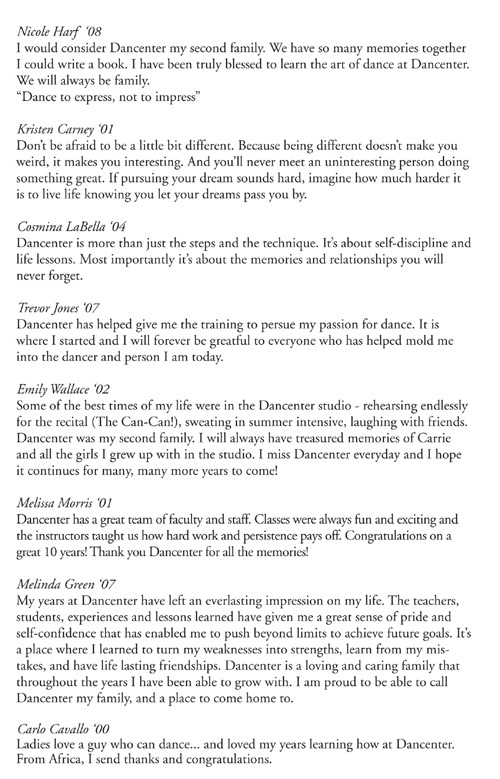 Celebrating 20 Years of Dance! Dancenter of Utica gave me a family that gave me support outside of my home. I made the best of friends at Dancenter and was able to express myself through dance in the process. The happiness I felt while dancing with the instructors and students and dancenter can never be replicated. 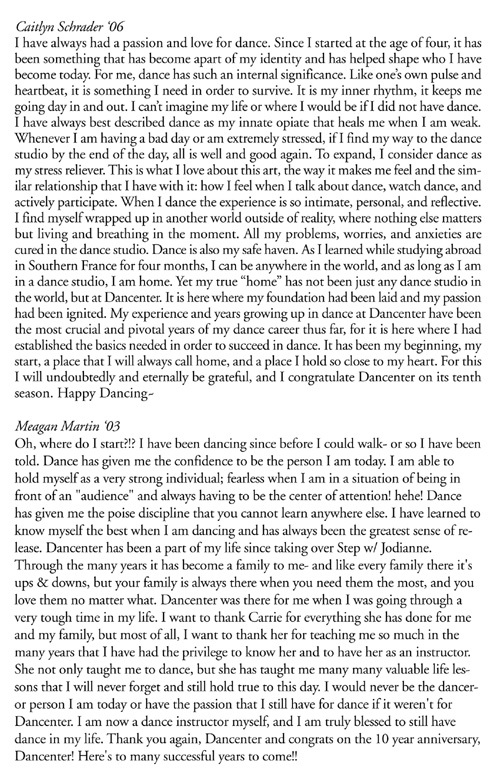 After I left the Dancenter in 2012 after graduating high school, I went off to Hartwick college. There, I danced in the Orchesis dance club! After two years at Hartwick I decided to move back home. Now at 20, I attend Utica College! There I unfortunately am not dancing but I am happily pursuing a major in Psychology to obtain a bachelors and then move on to grad school and Hopefully one day become a criminal profiler! 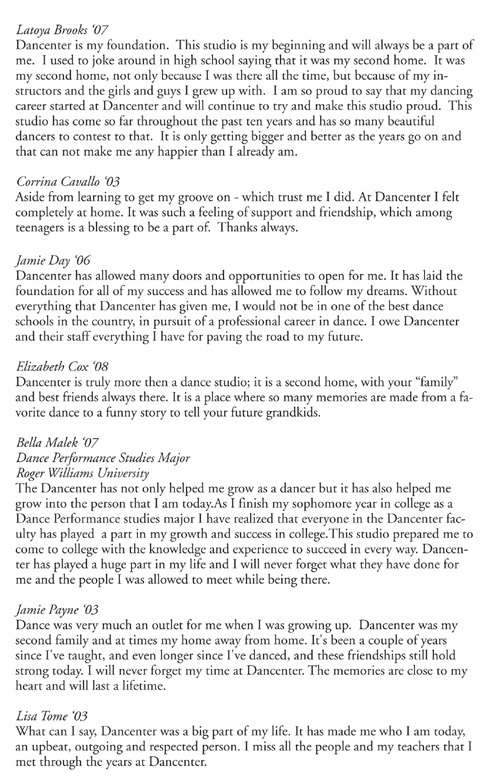 Dancenter will always have a place in my heart and love to go back and visit when I can! 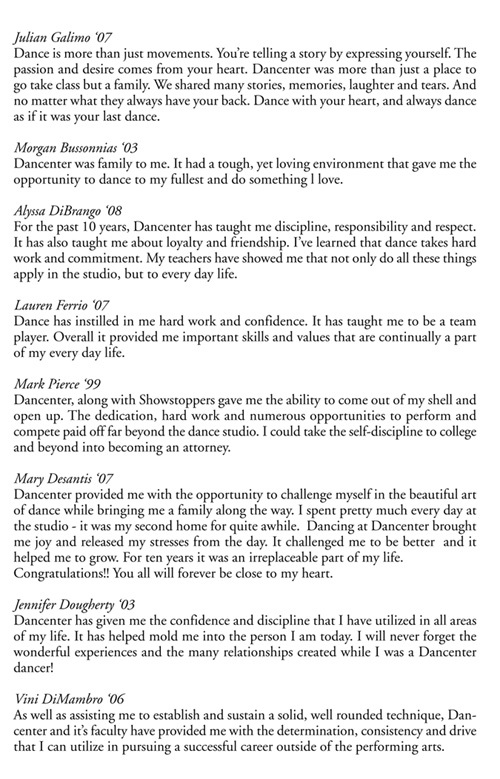 Dancenter has given me the confidence and discipline that I have utilized in all areas of my life. It has helped mold me into the person I am today. 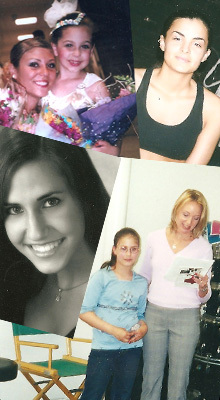 I will never forget the wonderful experiences and the many relationships created while I was a Dancenter dancer! Caitlyn Schrader is currently living in Boston, MA pursuing her love of dance and passion for the French language. After receiving her BA in French and Francophone Studies and Communication Through the Arts, with a minor in Dance from Hobart and William Smith Colleges in 2010, she continued to receive her MS in Adolescent Language Education from the University of Rochester, all while dancing for the professional contemporary dance company, BIODANCE (Rochester, NY). Her graduate studies afforded her the opportunity to become a Franco-American Teachers-in-Training Fulbright participant, where she spent 6 months living and teaching English in Northern France. Now having made her way to Boston, she is currently on the faculty of South Shore Ballet Theatre (Hanover, MA), as the primary modern faculty, as well as ballet. She also actively dances herself, taking weekly classes and/or volunteering at Green Street Studios and the Dance Complex in Cambridge, MA. She hopes to begin performing with a company very soon! She also is currently a French speaking nanny. I'm a senior at St. Rose in Albany, majoring in speech therapy. I plan on attending Utica College for Occupational Therapy in the fall. I'm currently still dancing at school and am looking forward to our annual showcase and graduation in May! I graduated from Cazenovia College with bachelors of Professional Studies in Equine Business Management. Now I'm working for SmartPak as part of their sales team for horse supplements. 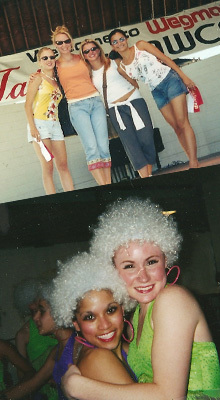 And still dancing and have taught a couple of classes here and there. I'm a senior at SUNY Oneonta graduating in May. Right now I am doing the Disney College Program working for the World of Disney in Downtown Disney. My major is Fashion Merchandising with a minor in Business Communications. I am an administrative assistant at upstate cerebral palsy. I am also in my senior year of college with a major in early childhood education and will continue to pursue my career in administration. 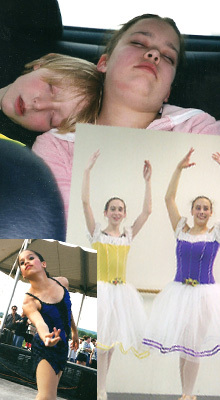 Cosmina graduated from Dancenter in 2004 after being a member with the company since the age of 2. She spent the next four years at Manhattanville College and graduated in 2008 with a Communication, B.A. and a minor in Dance and Theater. 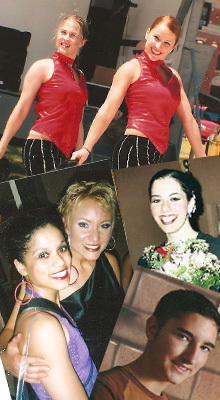 During her time at Manhattanville she led the Dance Troupe as head captain. Upon graduation Cosmina started working in media sales at Fox Broadcast. Currently she works as an Account Executive for Home Team Sports, A Division of Fox Sports. Cosmina works in sponsorship and commercial sales with every MLB, NHL,NBA and Collegiate Conference across the country. Recently she moved to Brooklyn, New York after living in Manhattan for the last 5 years. In conjunction with her recent move, she has also rekindled her love for dance at a local studio in Brooklyn called Sacred. Cosmina still has an insatiable love for dance and over the last three years has found that same passion for hot yoga. Within the next couple years she would like to be a certified Hot Yoga teacher while continuing her career in Media Sports Sales. "Sleep No More" Former Dancenter Alumni, Nicholas Bruder as Macbeth in this site-specific show on West 27th Street. Read more here.